Sébastien Loeb Racing chooses Winmax for the Rallye du Var! Nine time WRC world champion Sébastien Loeb will participate to the Rallye du Var next week, the last rally of the French Championship. He will drive the mythical Peugeot 306 Maxi of his Sébastien Loeb Racing team. After having done some serious testing 2 weeks ago, they decided to go for the Winmax Brake Pads! The very treacherous roads of the Rallye du Var require the utmost concentration of the driver and a car that is in top condition. And at Sébastien Loeb Racing they know one thing or two about the matter. The Peugeot 306 Maxi was completely rebuilt and is a real beauty. In order to also perfect the slowing down, they chose for the Winmax Brake Pads in the braking department. Sebastien Loeb carried out a full day of testing and approved the Winmax Brake Pads. 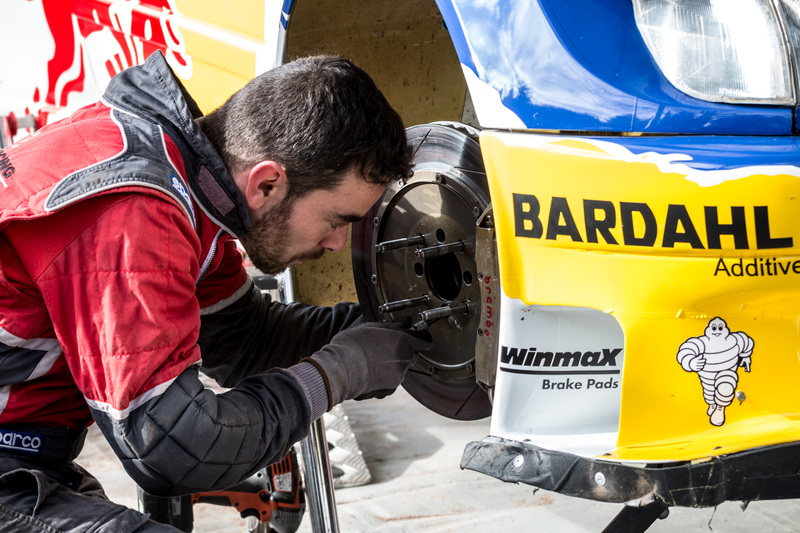 “We wanted to try Winmax Brake Pads and we’ve been really pleasantly surprised. Seb had not driven with a front-wheel-drive car for a long time either, and needed to get confident with brakes, and that’s what happened with Winmax Brake Pads when we used it, he felt really well with it, they were excellent. Not only did they slow down the car well, they were also very resistant,” said Jean-Philippe Nicolao, Technical Manager of Sébastien Loeb Racing. The Rallye du Var will be run from 23 to 26 November. Sebastien Loeb, Daniel Elena, and their Peugeot 306 Maxi on Winmax Brake Pads will be the stars of the rally.